In a large saucepan, combine the water, lentils, carrot, onion, garlic, and bay leaf. Season with salt and pepper. Bring to a boil. Lower the heat and simmer, partially covered, until the lentils are soft, 15 to 20 minutes. Drain, discarding bay leaf. * Later in the week I made this recipe again but added ground turkey and just had it for lunch a couple days at work- it was equally amazing! Seriously so delicious!!! Cover the dish with foil and bake in the oven for 20-30 minutes. There you go! Seriously so easy, and healthy and most importantly delicious!! Hopefully you guys enjoy as much as we did. 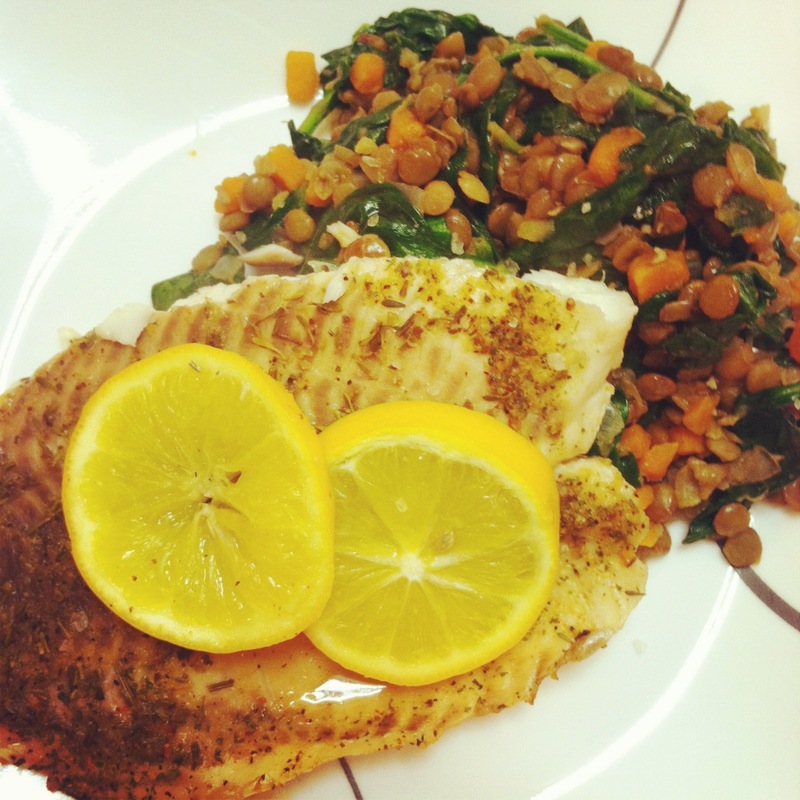 looks great – great idea what to do with tilapia, as its somewhat lacking in taste!